Growing without marketing seems to be a fantasy. Marketing is important to turn visitors into customers. Stepping up from traditional marketing practices, organizations have moved to inbound marketing to become customer centric. A comprehensive customer centric approach involves video marketing that helps engage, delight, and convert viewers into leads. Moreover, companies irrespective of their size and domain can improve their conversion rate to a great extent. 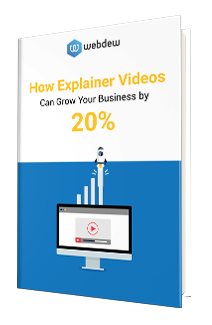 Download our eBook to get the tips on how to improve your conversion rate by 20% using explainer videos.